Leviton has announced the promotions of John LaMontagne and Jeff Beyert to vice president, sales, for Leviton Lighting Business Unit and vice president, sales, Energy Management, Controls and Automation (EMC&A) business division, respectively. 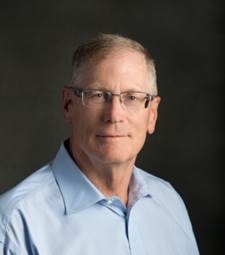 In his new role, LaMontagne will oversee sales responsibilities for Leviton’s recent lighting acquisitions, including JCC, Intense Lighting, ConTech Lighting and Birchwood Lighting. LaMontagne previously served as vice president, sales, EMC&A for six years. “As a 23-year veteran of the company, John’s experience with our agent network and our distribution and specification partners will be extremely valuable to the team,” said John Ranshaw, vice president and general manager, Leviton Lighting business unit. Meanwhile, Beyert comes to his new position with 30 years of industry experience. He has served as a specification engineer, a technical lighting sales specialist for the Greater New York area and the northeast regional sales manager. Most recently, he was the director of specification sales and national accounts. “His varied and diverse sales experiences will be a welcome addition to the Leviton executive sales team, and we look forward to working with him,” said William W. Marshall, Leviton’s senior vice president, sales and marketing. The company also announced that Timothy Brennan, ConTech Lighting’s vice president, sales, will retire as of January 5, 2018. Leviton acquired ConTech Lighting in December 2016. Brennan joined ConTech Lighting in 2003, where he trained and managed a professional sales team, and drove sales growth of the company’s national account and commercial sales customers.